Rajeev Ramchand is a senior behavioral scientist at the RAND Corporation where he studies the prevalence, prevention, and treatment of mental health and substance use disorders in adolescents, service members and veterans, and minority populations. 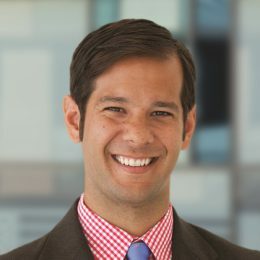 He was lead author of The War Within: Preventing Suicide in the U.S. Military and co-led RAND’s 2014 study on military caregivers, Hidden Heroes. He has testified before the United States Congress twice: on suicide prevention among veterans and on military and veteran caregivers. He also conducts research in the US Gulf Coast: he collaborated with the Orleans Parish Coroner’s Office to study trends in suicide deaths in New Orleans and is currently working on a study examining the health effects of the Deepwater Horizon oil spill on coastal communities. His current work also addresses the health and well-being of minority subgroups in the U.S. military and he is a study team member on RAND’s Gun Policy in America initiative, focusing primarily on the role of firearm availability, storage, and policies on suicide. He is also actively engaged in efforts to adapt the research techniques he uses to study mental health and suicide to conduct research on violent extremism and community resilience. He received his B.A. in economics from the University of Chicago and his Ph.D. in psychiatric epidemiology from the Johns Hopkins Bloomberg School of Public Health.